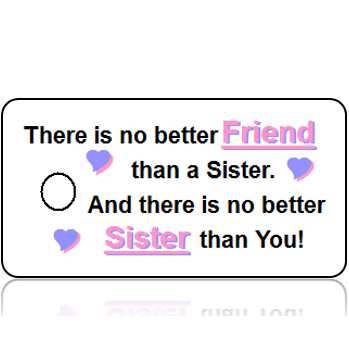 Sisters Celebration Key Tags White Design are a great way to say Thank YOU for their unconditional love! In addition, you can also add a personalized message to the back of the Tags, which adds a special touch. Celebrate your love and show appreciation with our Sisters Celebration Key Tags White Design! 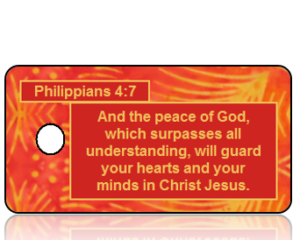 For instance, share Bible Scripture Key Tags with others. To include bible study, adult and youth groups, retreats, Missions trips, and more. Share-IT! Tag customers not only want to share their favorite bible scripture verse. Hence, they have shared words of encouragement, motivation and inspiration, memories and celebrations. Our goal is to provide an economical way to reach out and share God’s Word. Deliver your positive message or memories to as many people as possible. As a result, you can easily create a special keepsake, on an attractive key tag or bag tag. 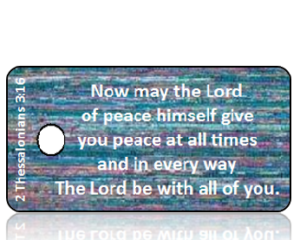 Our hope is these Sisters Celebration Key Tags White Design are a blessing to you, and to others. 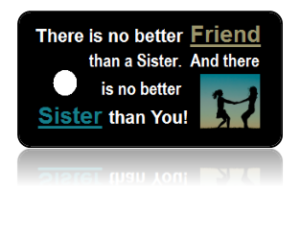 Sisters Celebration Key Tag White Design are a great way to pay tribute to the hard work and dedication of your team! In addition, you can also add your contact information, an itemized checklist or a personalized message to the back of the Tags, which adds a special touch. Encourage membership and promote your club to friends and family with our Sisters Celebration Key Tag White Design! 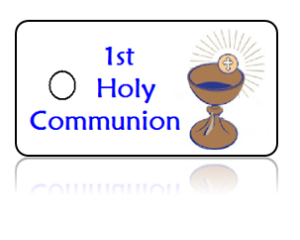 Our hope is these Sisters Celebration Key Tag White Design are a blessing to you, and to others.